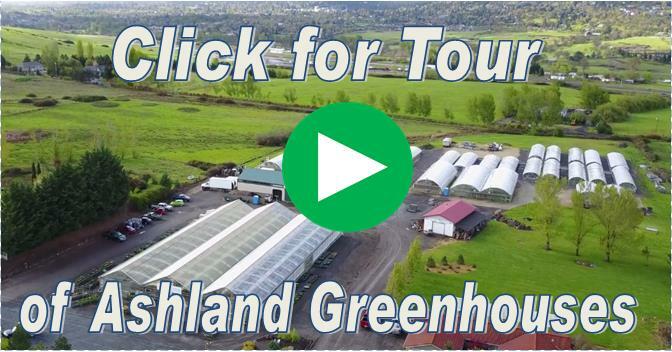 "Locally Grown, Region Specific Plants, Since 1906"
At Ashland Greenhouses we grow 100% of the plants starts we sell. We grow flowering annuals, vegetable starts, herbaceous perennials, herbs, color bowls, hanging baskets, poinsettias, and ornamental grasses. All of our plants are selected to do well in our unique climate. We are open to the public and serve individual gardeners, landscapers, and businesses. We also ship wholesale orders to independent garden centers, nurseries, and flower shops. The garden center is located at 650 E Ashland Lane in the beautiful city of Ashland, Oregon. The nursery is a place to purchase region specific plant starts to thrive in your garden or landscape. The store is a tourist attraction to visit and explore different types of plants. We do events at the nursery such as classes and tours throughout the season. Visit us on Facebook, Pinterest, or join our Newsletter for updates, garden discussions, lots of photos, and much more!